Thanksgiving is only a couple of days away and with that being said, so is family filling your house and the cleaning spree you have been on for the past week is about to end only to have your house turn into a disaster zone with the amount of people milling around. We all love our families and look forward to the holidays, but sometimes we need some time to ourselves. Get them out of the kitchen and out of the house exploring while you take a breather and a big sip of wine. Go Ice Skating. Ice skating at The Wharf in Orange Beach has started again, from November 18 until January 14 you can skate around a winter wonderland even if you are wearing a shorts and a t shirt. It’s $10 to skate and that includes skating rentals, if you forget your socks they have you covered for a $3 fee of course. If you are a skating pro or you just love the rink you can purchase a frequent skater pass for $80 for 10 skates, it’ll save you $20 in the long run. If you really want your family to have fun you can do a skating and Ferris wheel combo for $13 and see the sights after you skate around. Go to the Beach. While it may be a little crisp outside, you can still head down to the beach and let the waves work its magic and relax you and the kids. Bring some hot Cocoa or hot apple cider and let the sound of the waves rock you into serenity. Go out for Thanksgiving Dinner. 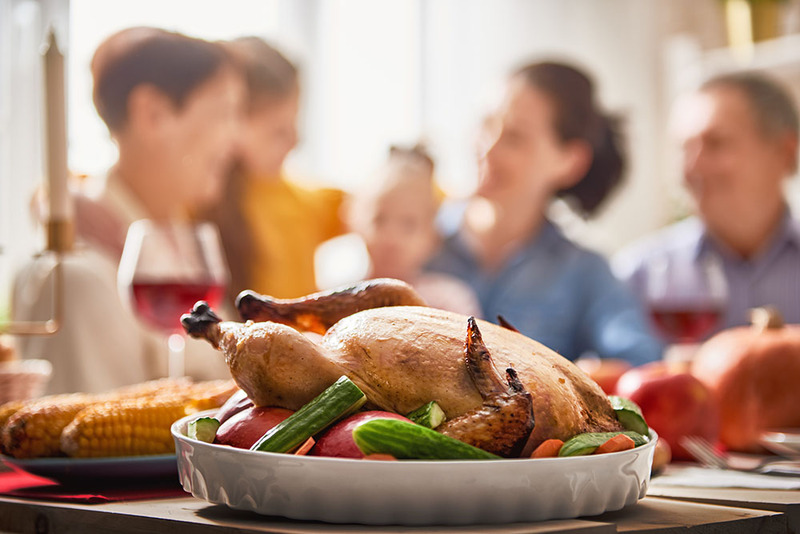 There is nothing more stressful than cooking for Thanksgiving, if things go wrong or you just don’t have the energy to get everything done, there is a second option and it is stress free. Head to The Beach Club for Thanksgiving Buffet and Dinner. Call ahead at 251-224-3600 to make your reservation and relax knowing that your kitchen will somewhat stay clean and everyone will be happy. The Buffet starts at $32.95 per person kids 6-12 is $10.95 per person and kids 5 and under eat free. Enjoy a classic Thanksgiving dinner from 5pm until 7pm for $16.95 per person. Whatever your plans are for Thanksgiving, spend it with family and friends and cherish the time, traditions and memories you have with them. Start a new tradition; it’s never too late to start #creatinghappymemories.